Distil Union’s Wally Bifold Wallet is designed to fit everything you need to carry in your wallet in half the size. 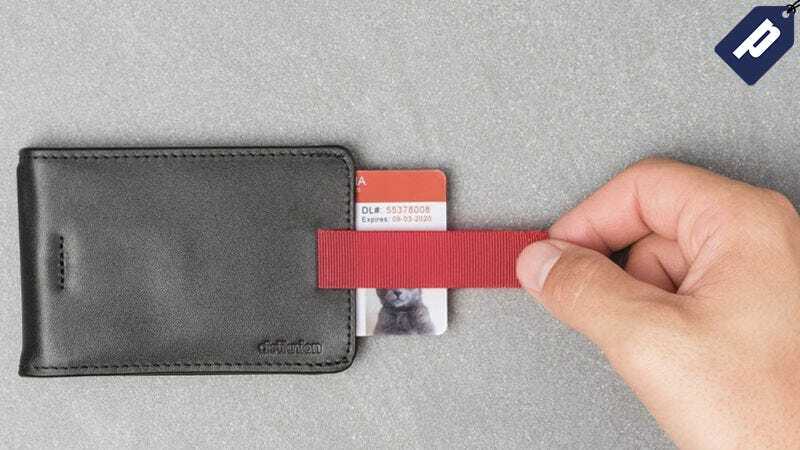 It was a hit on Kickstarter and is one of the top rated wallets on Amazon, but Jalopnik readers can get it now for just $39.99 - the lowest price on the web. The Wally Bifold takes the bulk out of your wallet, letting you fit it easily and discretely in your front pocket. The pull-tab design means you can quickly access your most used cards, and the built in money clip can hold up to 30 bills at once. It normally retails for $60, but you can get one today for just $39.99 + free shipping and a one year manufacturer’s warranty. Interested? Hit the link below to grab yours.